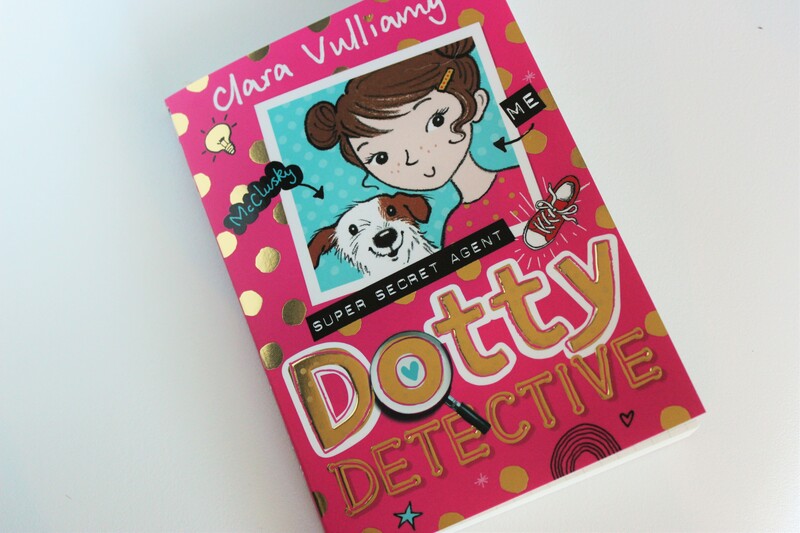 Me and the kids have been reading a new book called Dotty Detective by Clara Vulliamy which was kindly sent to us for review. The pink and gold cover didn’t put Max off at all, who is actually very much into princesses at the moment! He was keen to start reading it when he found out that it was a detective story and that there was a dog in it! 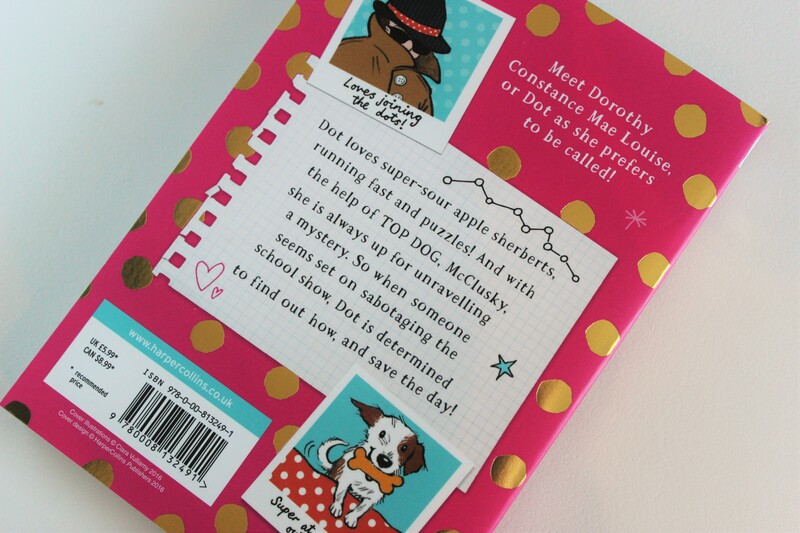 Meet Dorothy Constance Mae Louise, or Dot as she prefers to be called! Dot loves super-sour apple sherberts, running fast and puzzles! And with the help of TOP DOG, McClusky, she is always up for unravelling a mystery. So when someone seems set on sabotaging the school show, Dot is determined to find out how, and save the day! I must admit, Evie did get fed up of it quite quickly but at three years old I hadn’t expected anything less, as it is aimed at older children. Max loved it though and kept asking me to read more to him. The book is 176 pages long so at first I thought it would take us a long time to get through, what with the kids short attention spans! But actually, with all the pictures it breaks it up nicely and we managed to read the book in just a couple of sittings. 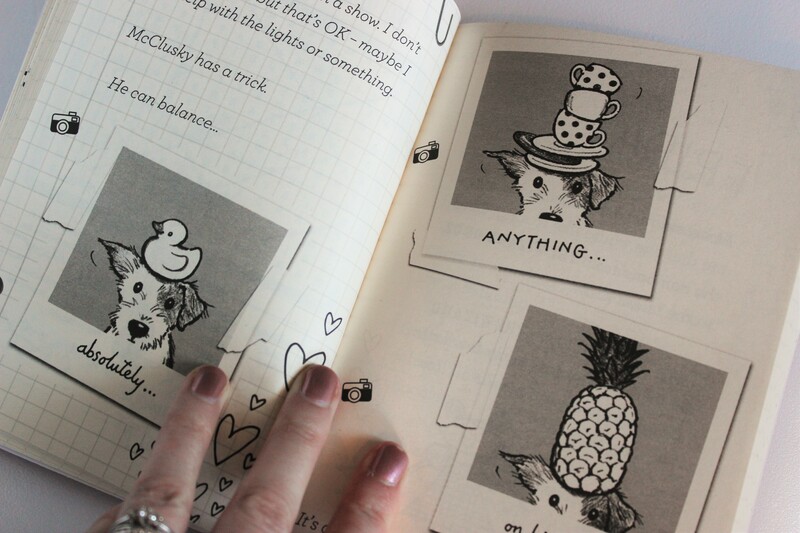 I love how the book is made to look like a proper journal, with doodles and photos on the pages. 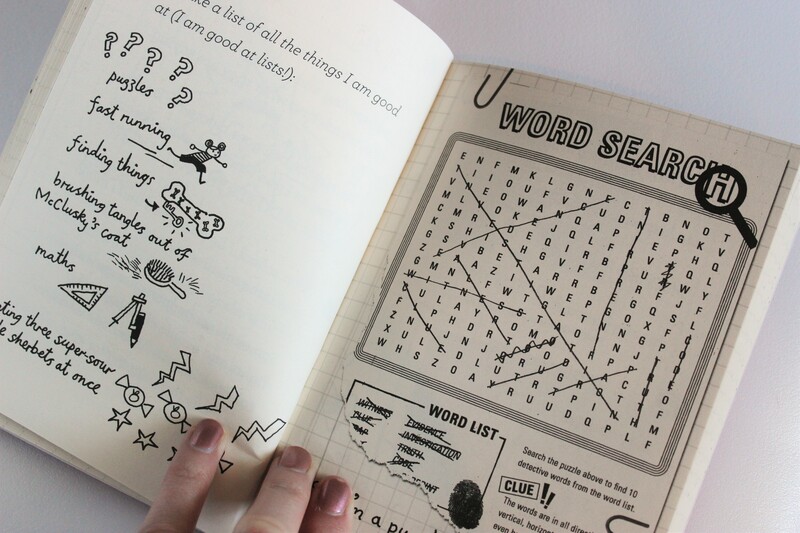 Max loved this about the book too and wanted to see every drawing and work out what it meant. This book is priced at £5.99 and can be bought from Amazon. This is lovely Emma! What a great book !